Starbucks is basically ubiquitous to our major cities, particularly in shopping malls and highly populated areas. We know the drill, we walk in, get greeted by the baristas, place our order and pick it up. The baristas are the frontline of Starbucks and often the only people we interact with while in that store. But what if they aren’t able to listen? This is a challenge the Starbucks outlet in Bangsar Village II decided to overcome. They closed down for renovations a few weeks back and have now reopened with a brand new image and concept. 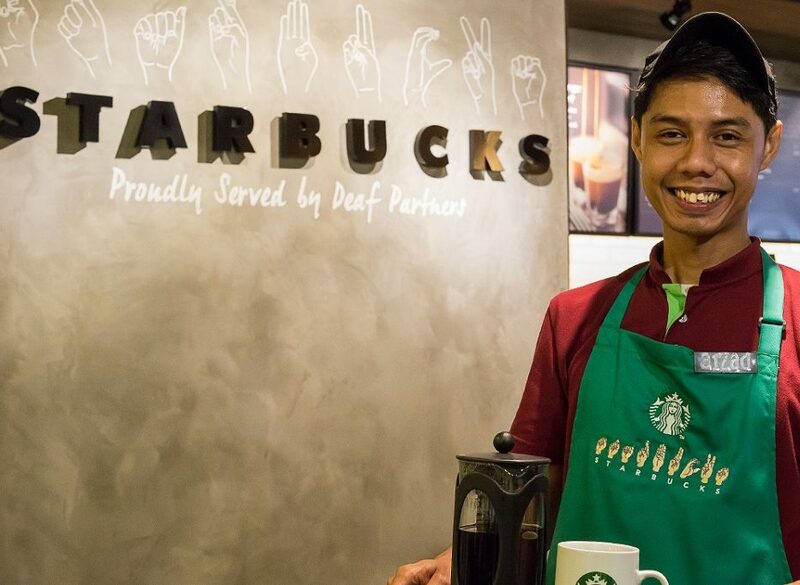 As of 20th July, they are recognised as the first-ever Starbucks Signing Store that hires deaf baristas. Berjaya Starbucks Coffee Company Sdn. Bhd has collaborated with The Society of Interpreters for the Deaf (SID) to provide the deaf community in Malaysia a chance for employment. This is a huge step forward not only for this well-known coffee company but also SID who have been striving hard for the deaf and hard-of-hearing community to have an opportunity for equal rights and access to information and communication since 1990. 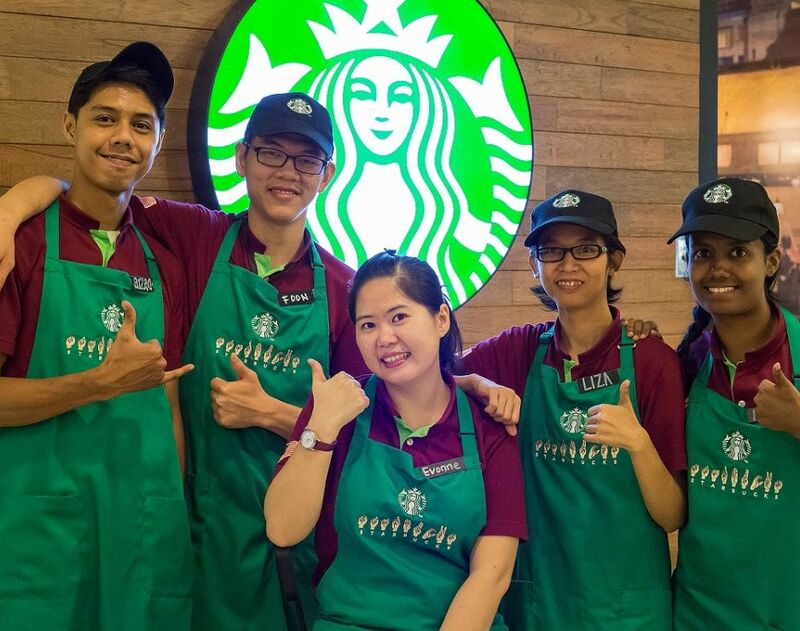 “We are proud to support people with disabilities through fulfilling work to create a culture of empowerment and to bring new perspectives to the workplace, which ultimately makes us a better company,” said Sydney Quays, managing director of Starbucks Malaysia on the Starbucks website. 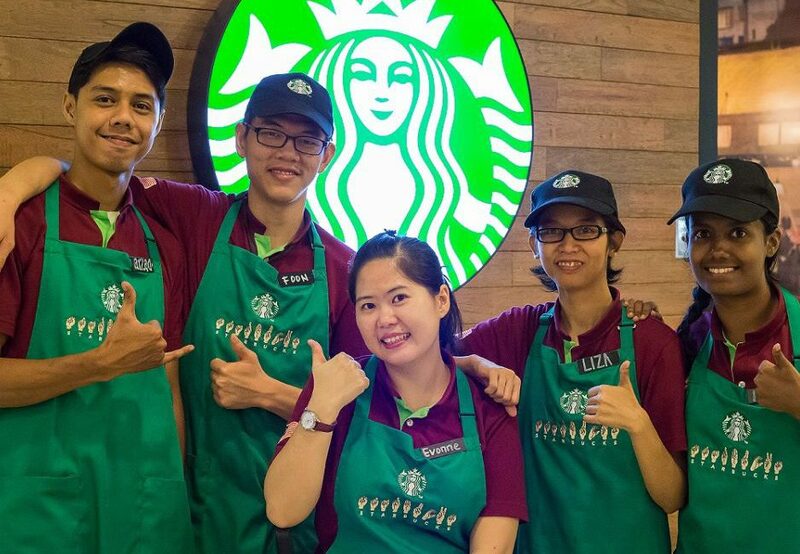 As of today, they currently house a total of 10 deaf baristas along with 3 hearing ones, including manager Evonne Lo who stated the staff have been trained to learn and practice sign language. SID provided Starbucks with two sign language interpreters to translate during hiring, training and coaching for the deaf partners and also taught sign language to all hearing partners at the store. Lo is working hand-in-hand with the newly promoted shift manager, Muhammad Aizad Bin Ariffin, who has been with the company for three years and is deaf. He talked about his hard work and hopes to be able to enrol under the company’s Coffee Master programme eventually, an advanced coffee expert course handled by Starbucks. So the million dollar question you might be asking, “If they can’t hear me, how will they be able to get my order right down to the T (pun intended)?” Well, the outlet has a Starbucks Card kiosk that helps customers to check their card balance and rewards before placing their order on a Starbucks order ticket. The baristas will then key in the order, which will be displayed on a point-of-sale dual screen so customers can ensure their order is correct before proceeding. The order number will be displayed on a large screen above the pick-up counter when it is ready to be collected by the customers. Starbucks has also uploaded a video onto their Facebook page showing off their new outlet which you can check out below. 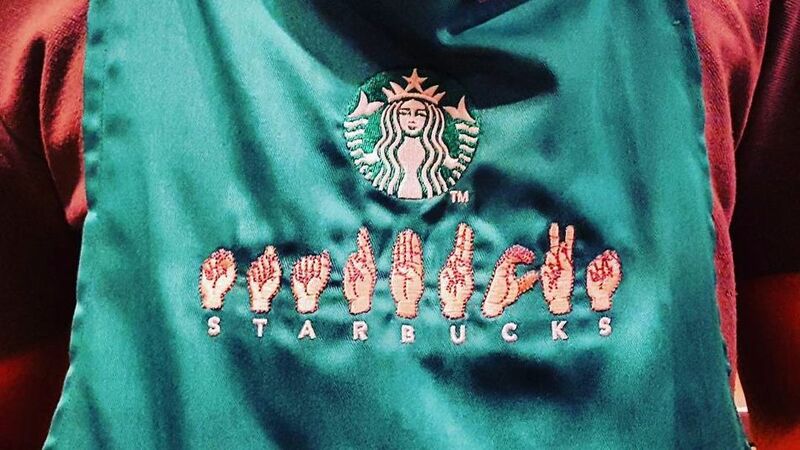 And as an initiative to pick up some sign language lessons on your own, here are some handy ASL sign language terms that you can use the next time you give this Starbucks a visit.